The Bakersville Dozen Blog Tour: ARC Review- I Was on the Edge of My Seat! Hi guys! For the American audience here, Happy Fourth of July! Today marks a special day in US history, and I bet you’re planning to go to a big cookout and a big fireworks show. 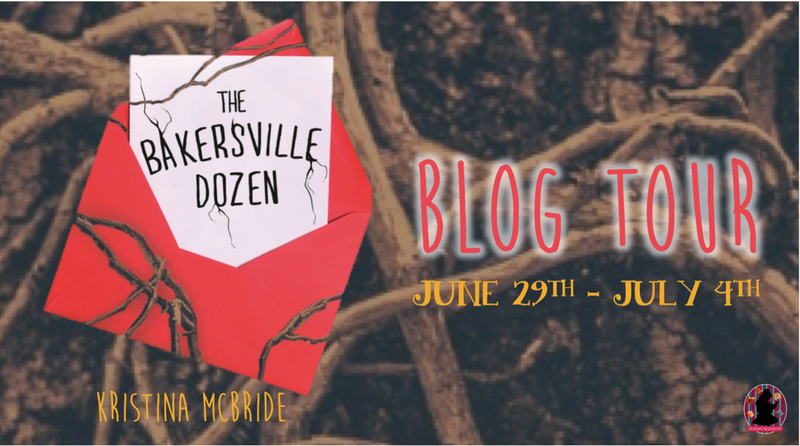 I don’t know what I’ll do since I’m writing this post three weeks before, but I do know what I’ll be celebrating in addition to Independence Day: the release of The Bakersville Dozen by Kristina McBride! Synopsis: You have four days to locate five treasured trophies. Break the rules and you all die. Happy hunting! Kristina McBride has published three novels for young adults – THE TENSION OF OPPOSITES, ONE MOMENT, and A MILLION TIMES GOODNIGHT. Her fourth novel, THE BAKERSVILLE DOZEN, will be released July 2017. Kristina is a former high school English teacher and yearbook advisor, as well as an adjunct professor at Antioch University Midwest and Wright State University. Kristina has a thing for music, trees, purses, and chocolate. You might be surprised to learn that Kristina was almost kidnapped when she was a child. She also bookstalks people on a regular basis. Kristina lives in Ohio with her husband and two young children. You can learn more at www.kristinamcbride.com.